USA Made stainless steel tables for laboratory, commercial food service, retail & healthcare offered with up to 60% off of their list prices. They are Top Quality, Industrial Duty, manufactured to endure almost any environment. 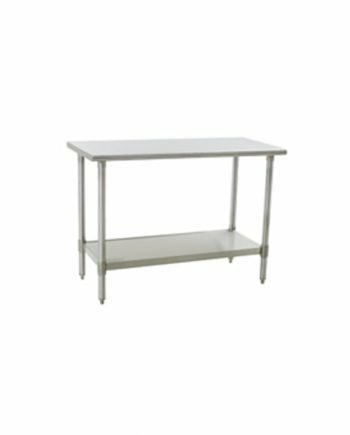 These tables are constructed from 304 or 430 gauge 16 stainless steel which are available in wide variety of sizes with and without under-shelf. Also Available with Flat Top, Upturned Rear Edge, Backsplash or Marine Edge.